KulaBrands is a community that includes all the right people helping one another in growing together and doing well together. 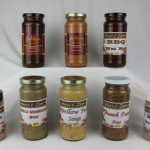 The Kulabrands as a business platform is rising with every passing day, more inventors and innovators are joining kulaBrands for their betterment and for the betterment of the economy. Among several of the inventors and innovators, the one other incredible artist that is Donavon Lee. Donavon Lee Carpenter is a singer/ songwriter. He started out as a young boy singing with momma, in the church choir, and school functions. Donavon served Navy is his initial years. After getting married Donavon’s wife encouraged him to take a step further and go with his dreams, Donavon then, started to write and sing again. Donavon has covered a lot of events, weddings, and parties and played astonishing music. He has won several singing contests in Michigan. He has performed across the country from living rooms, house concerts, festivals and high profile venues. Donavon’s music is the one to fall in love with. He creates amazing music with the tracks that no one can resist dancing on his astonishing beats. Donavon’s performed everywhere across the country and he has a lot of fan following because of his the music he plays. The Donavon Lee Project is the perfect example of a country boy, singer/ songwriter who put his dream on a shelf in order to fulfill life obligations. This amazing artist aims to share his mind-blowing, full of life songs with everyone all over the country. 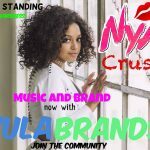 KulaBrands is not just a business platform, in fact, it is a complete support system that encourages the new people to come and join the community for the betterment. 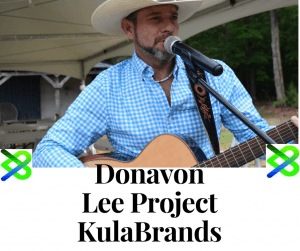 Donavon is becoming a part of kulaBrands to promote and share his incredible music all over the world. KulaBrands welcomes all the great artists with the brilliant ideas and tends to help them in converting their dreams into reality.